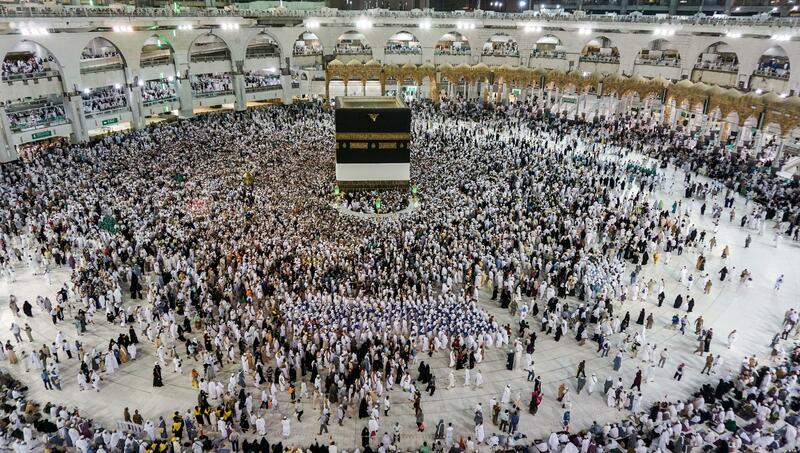 Worshipers perform prayers around the Kaaba on Friday, Aug. 17. 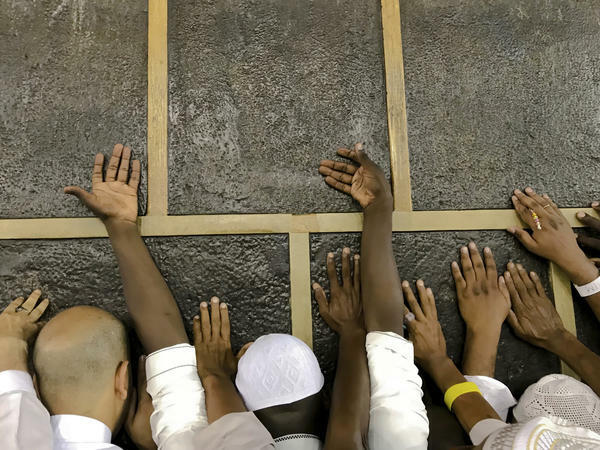 Muslim pilgrims touch the Kaaba stone, the cubic building at the Grand Mosque in Mecca. The hajj begins on Sunday and lasts through Friday, Aug. 24. 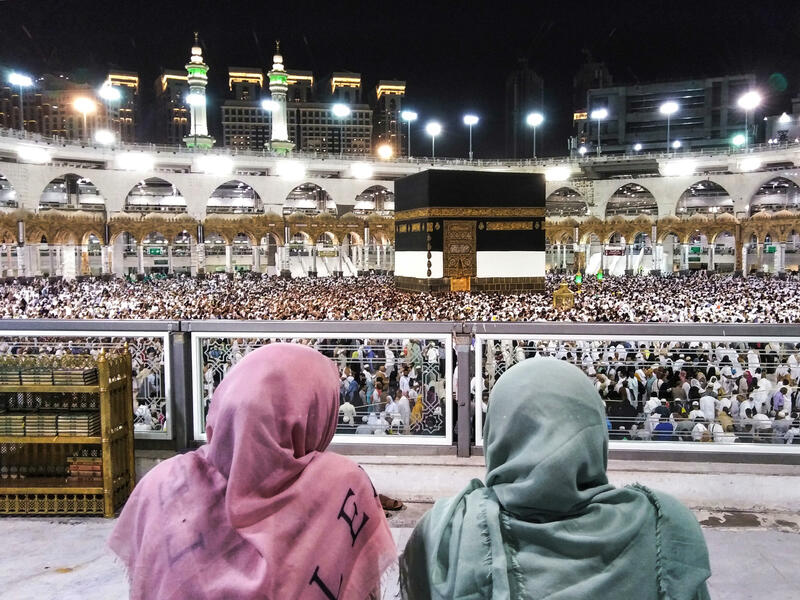 Worshipers watch as others circle the Kaaba, Islam's holiest shrine, at the Grand Mosque. Worshipers circle the Kaaba prior to the start of the annual hajj pilgrimage in Mecca, Saudi Arabia. Sunday marks the first day of the hajj, the annual pilgrimage of Muslims to Mecca. The journey to the holiest site in the Muslim world is one of the five pillars of Islam, and is expected to draw around 2 million people — making it among the largest yearly gatherings in the world . It lasts through Friday, Aug. 24. The journey is physically and emotionally challenging, and Saudi hosts have made high-tech preparations. The government is rolling out new mobile apps for medical care and on-the-spot translation, AFP reports. A Saudi charity is also offering pilgrims free naps in fiberglass pods in the city of Mina, which pilgrims cross during the hajj. 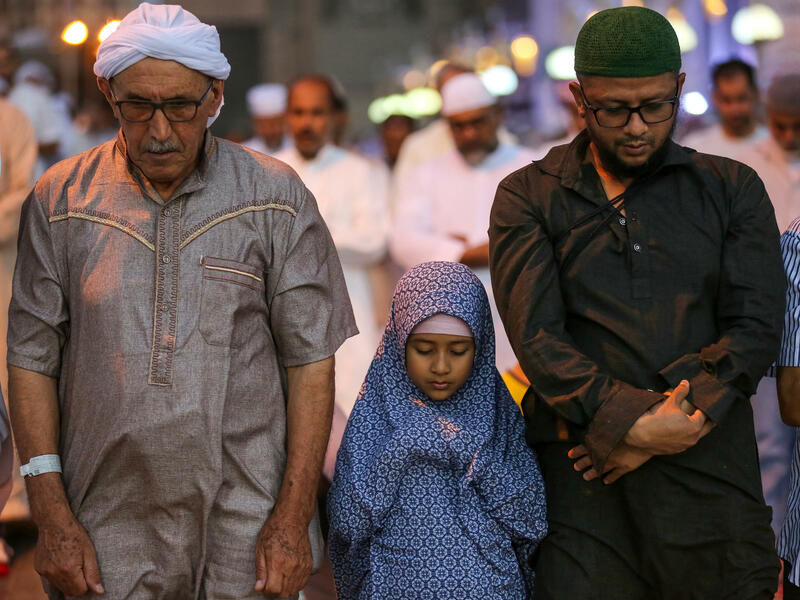 This year, a spat between Canada and Saudi Arabia has complicated the journey for some Canadian Muslims. Earlier this month, the Saudi government halted flights to Canada and severed trade ties with the country after Chrystia Freeland, Canada's foreign minister, tweeted about the imprisonment of a Saudi activist. As Reuters reports, some Canadian Muslims are worried about their flights home from Saudi Arabia. Qatar's government has said that its citizens are also facing roadblocks in the holy journey this year. In 2017, Saudi Arabia and Qatar severed ties — but the countries agreed that Saudi Arabia would open its border to pilgrims during the hajj. This year, Saudi Arabia has not opened the land border between the countries — and Qataris have run into trouble trying to register online for the hajj, even though Saudi Arabia allows a set number of Qataris to sign up.